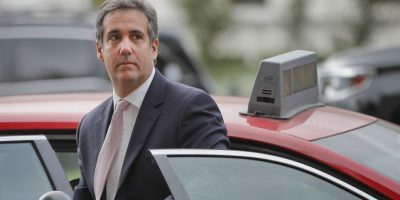 The FBI has raided the office of President Donald Trump’s personal lawyer Michael Cohen and seized documents, including those related to Trump’s alleged affair with an adult film star, The New York Times reported. Stephen Ryan, Cohen’s attorney, said federal prosecutors obtained a search warrant after a referral from special counsel Robert Mueller. The Times reported the agents seized communications between Cohen and Trump. Cohen paid actress Stormy Daniels $130,000 in the days before the 2016 presidential election to keep quiet about an affair she allegedly had with Trump. Trump has said he was unaware of the payment, which some legal experts believe may have been an illegal campaign contribution. Blog Competitions English Premier League Manchester United could agree deal with Bale who is ?very clear he will leave Real Madrid?